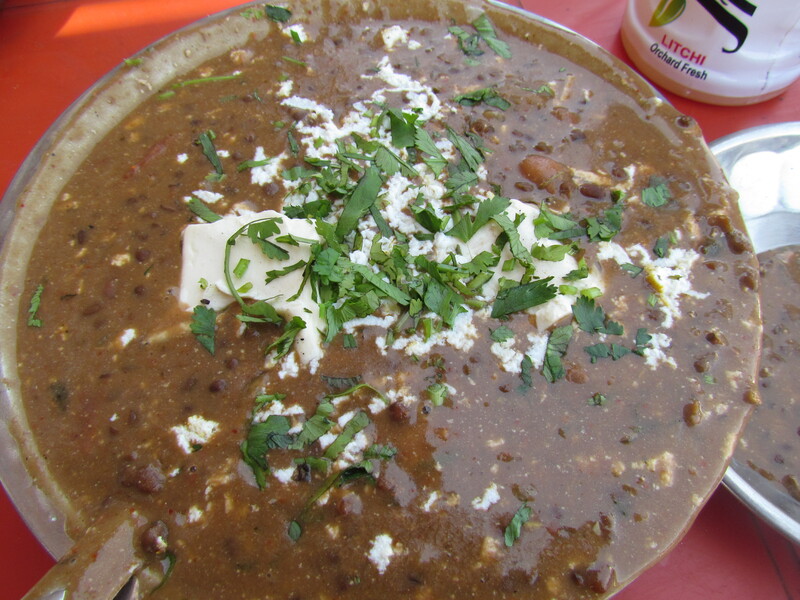 A real truck-wala dhaba that serves Real, Rustic, Robust & YUMM tastes & flavors. 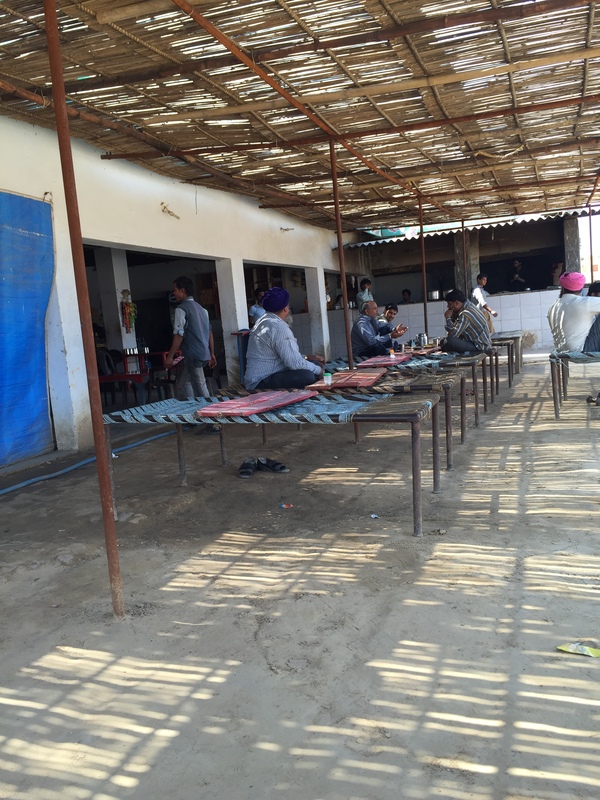 Years back this dhaba wud have been like any other road side dhaba that we see beside highways. It has a covered area to sit, sleep, eat. At the corner of the covered area is a TV constantly dishing out Old Hindi movies. 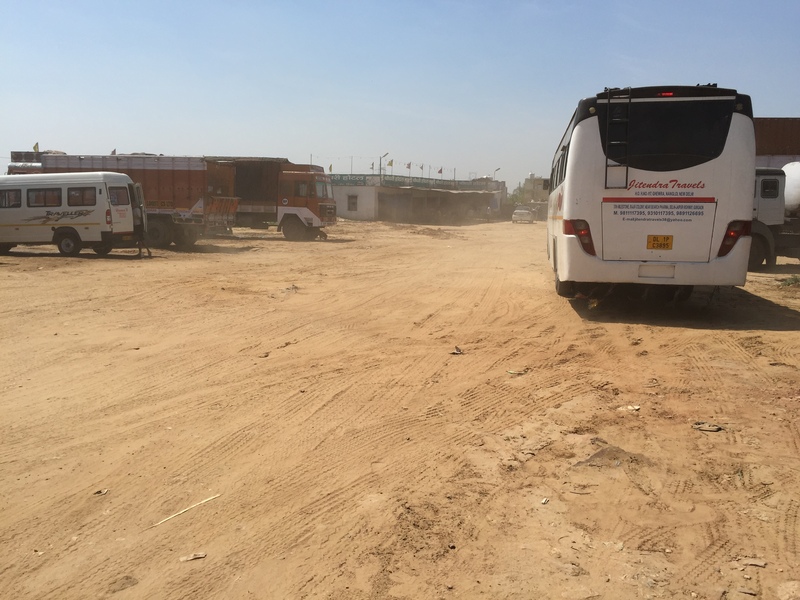 An open area has khatias & also few plastic chairs & tables. 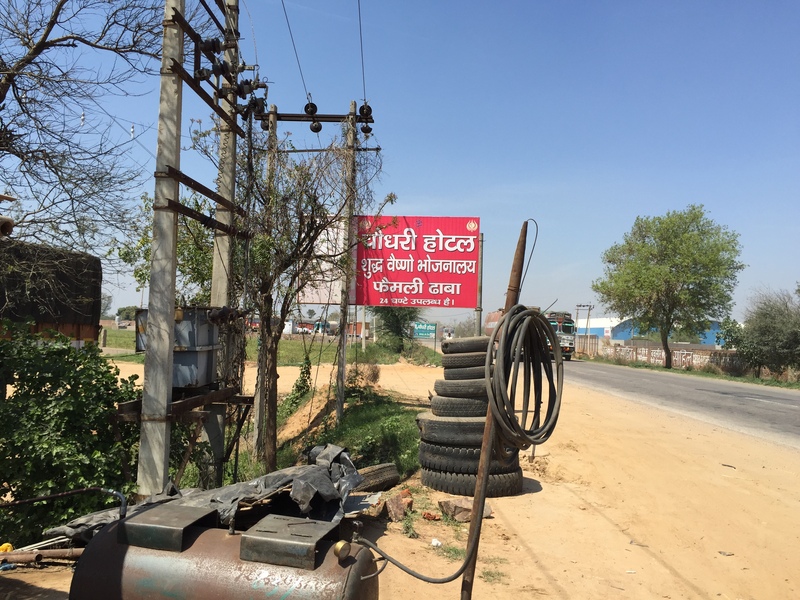 A bit far away is a ‘tanki’ (water tank) for truck drivers & helpers to take a bath from. 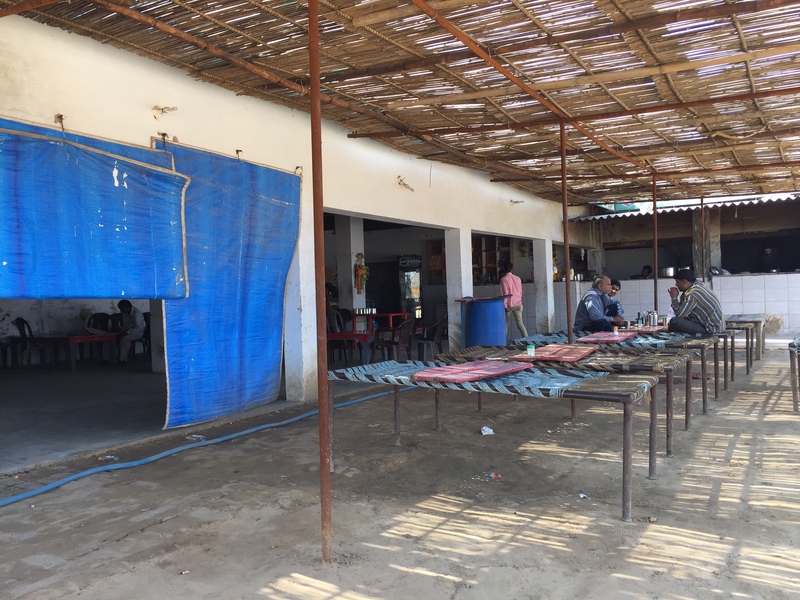 Ever since the Heritage Transport Museum opened up, this Dhaba has seen some flow of Urban folk. 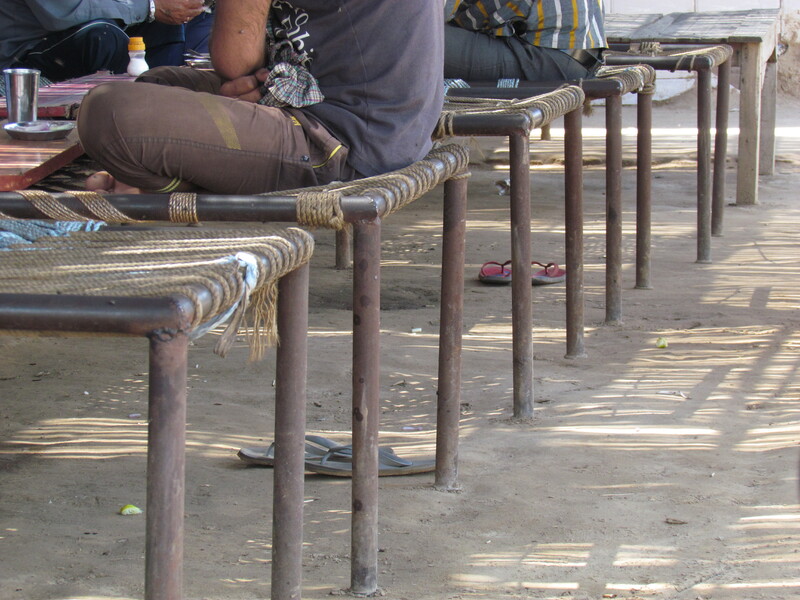 We were pleasantly surprised to find simple village boys waiting on tables. Innocence surprisingly was still left in some of them. 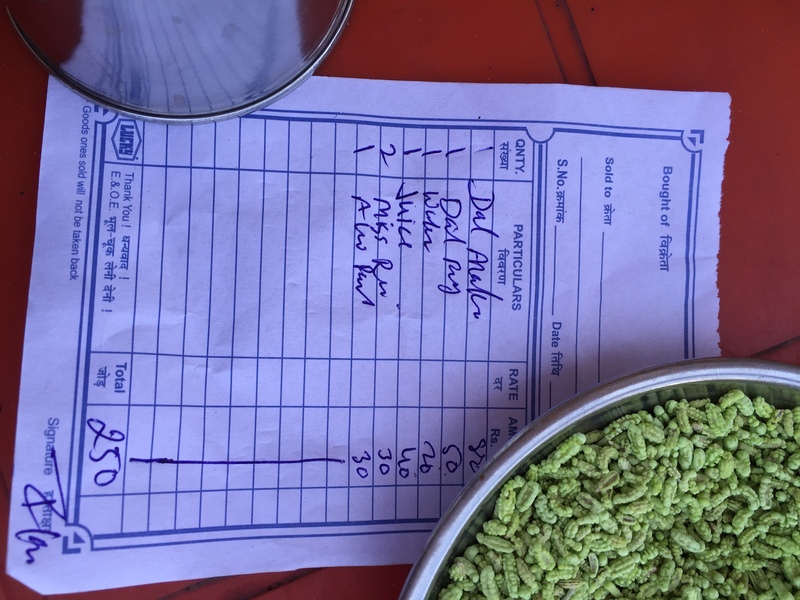 Our waiter came to rattle off the menu in Rajdhani speed. I asked him to slow down. He tried but cud not, much. I asked him what is the best dish here? He said ‘everything is best’. I said’ If I give u money to eat here, what wud u choose from the menu? He said ‘sach batau, yaha ka daal sabse accha hai’. I said, Ok pls get us daal. I asked ‘Which daal’? ‘Both ‘ came the answer. Another view of open eating area. 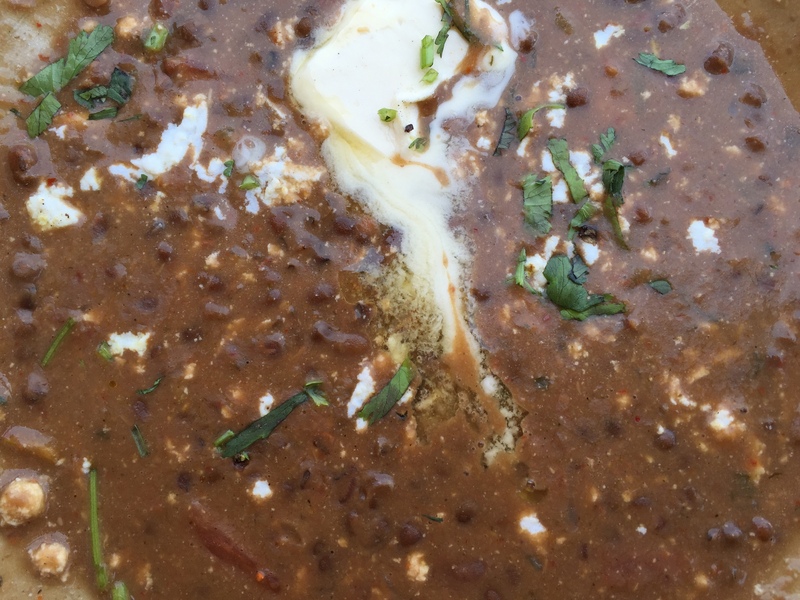 We figured there was a daal fry & a kaali daal. We ordered both. We also asked for missi roti & aloo paratha. 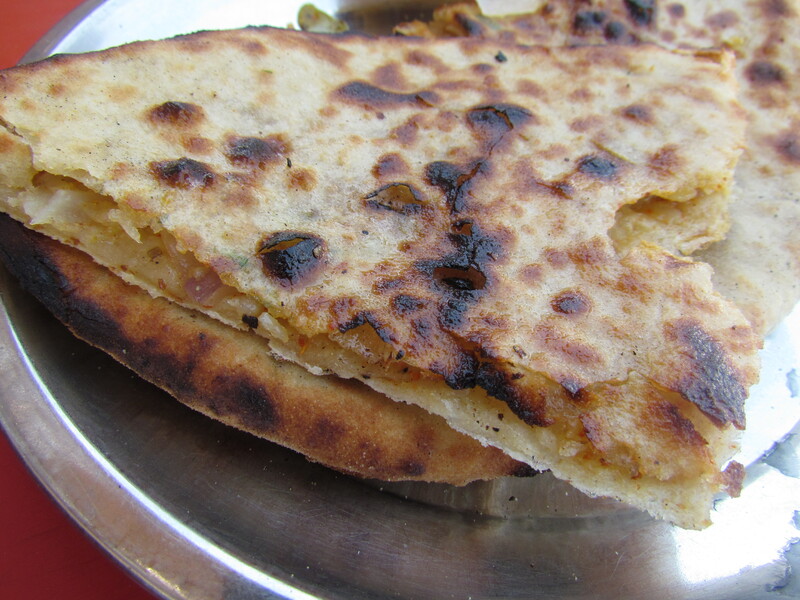 The aloo parantha had a separate layer of hand mashed aloo & the atta cover. Hand mashing led to uneven, lumpy & excellent filling. It was perfectly spiced – not too much, not too feeble. 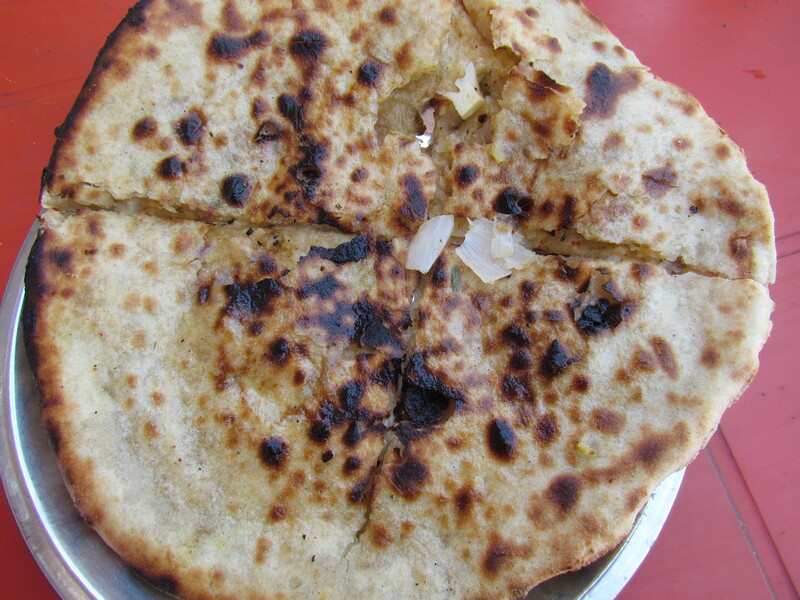 The aloo parantha was made on the tandoor, the way it is done in some legendary shops of Dilli 6 (not talking about parathewali gali). It had a generous but not excessive butter topping. The outer layer was crisp and nice. The edges & mid part was soft. Taste was excellent – perfect balance of salt, hotness with a tinge of sourness. 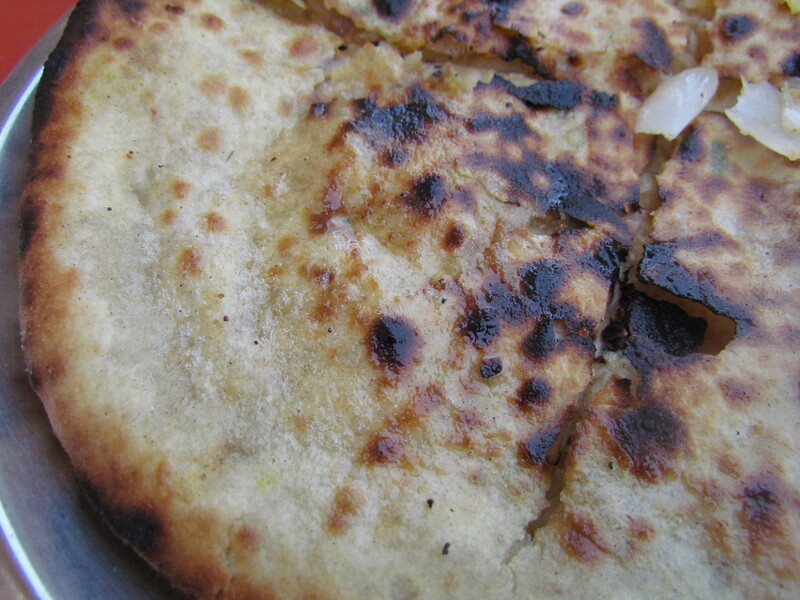 Rate the aloo parantha 4/5. The arhar daal fry was just excellent. 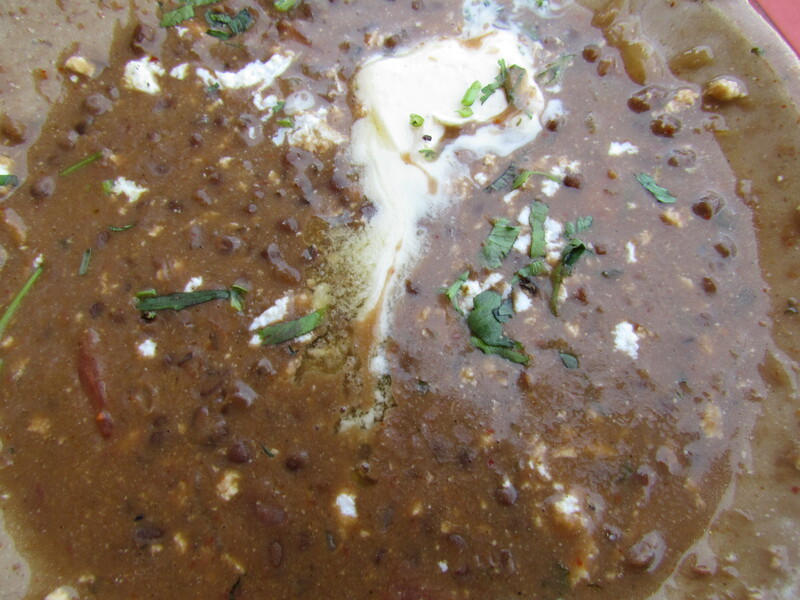 It was spicy, somewhat hot, had perfect balance of seasoning, had a flavor of desi ghee & masalas. 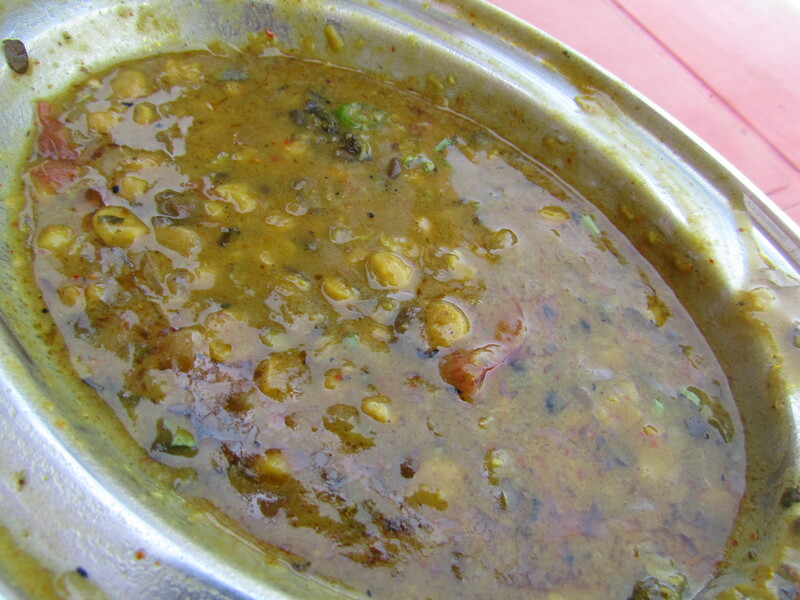 The kaali daal was another revelation due to its unique (by Delhi standards) garnish – a big lump of locally hand-churned butter. The butter had a mild fermented feel to it & was outstanding. 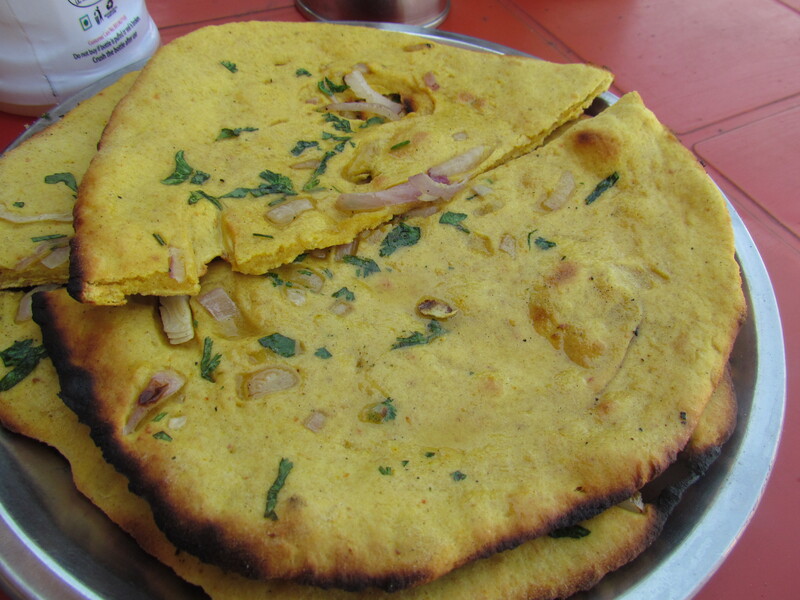 They also serve many dishes of paneer & vegetables. We cud not taste them coz the dishes were big in size. 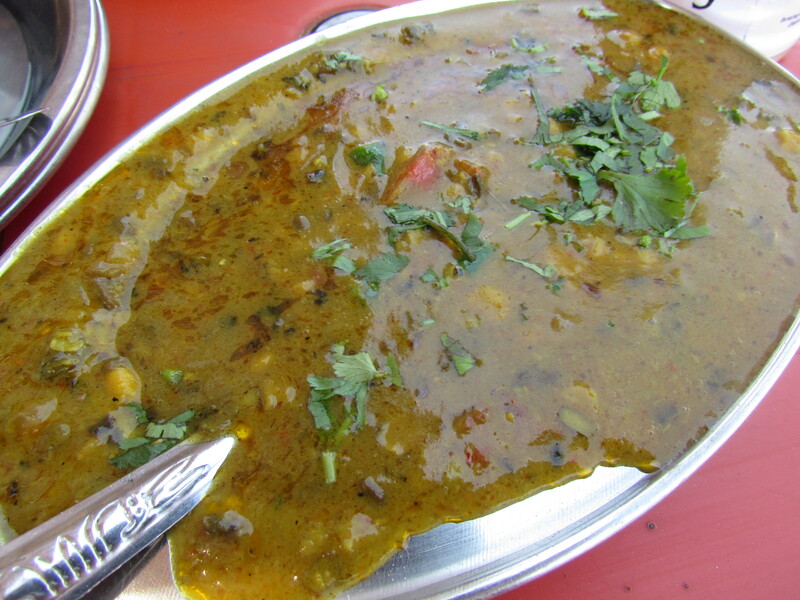 Overall rating of food at Choudhry dhaba averages out to 4.12/5. Must mention that the server boy came back to take feedback. When I said I loved it, he said ‘in case there has been any fault, pls let us know. That way we can better ourselves next time.’ I was speechless.